Welcome to our office and thank you for selecting the Ear, Nose and Throat Center to handle your hearing healthcare needs. We provide Audiology and Hearing aids. Also we have specialized care in Otolaryngology – Head & Neck Surgery, and maintain a full-service Allergy testing and treatment clinic. We provide care to patients of all ages, both children and adults. The certified, licensed Audiologists at The ENT Center, AMC are ready to give your hearing the attention it deserves. We diagnose the causes of balance disorders and together with your physician we can help you find relief. ReSound LiNX² allows you to stream stereo sound directly from your iPhone, iPad or iPod touch. Learn more about the world's first family of smart hearing aids. ReSound LiNX2 the new era of digital hearing aids. 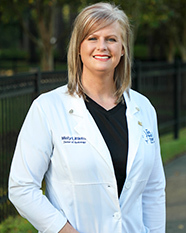 Laura Wade is an Audiologist at The Ear, Nose & Throat Center. 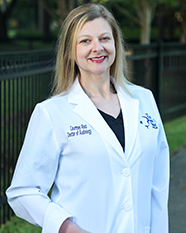 Misty Littleton, Au.D., CCC-A, has been working in the hearing healthcare field since 1998. Courtney L. Ross joined the Ear, Nose & Throat Center staff in September 2007. Read about the experiences of our patients. We can also help you with purchasing hearing aids in Shreveport, LA. The care and attention I received from the Ear, Nose & Throat Center from the front desk back to audiology far surpasses my expectations. They are all very kind and very professional and I have been treated with the utmost respect. The ENT Center, AMC has provided the best service for my hearing aids. I can always count on their professionalism and care. Thank you Kristi H. Rockefeller, I have enjoyed working with you and can say that my hearing aids are working very well for me! It has been a pleasure working with all the staff at The ENT Center, AMC, you are treated like family. I can honestly say that I can hear better now and this has allowed me to enjoy all my day to day activities.